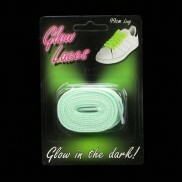 Glow in the dark T-shirts look great out to play, then look forward to bedtime with glow in the dark pyjamas. 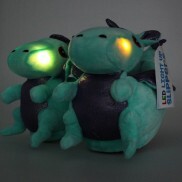 Toasty and dragon just go together and so these dragon slippers are guaranteed to keep your kids toes cosy and they have light up cheeks too! 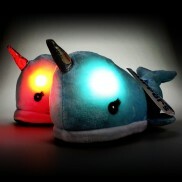 With a soft, cuddly plush and light up cheeks, these kid's narwhal slippers are guaranteed to keep kids toasty this winter! 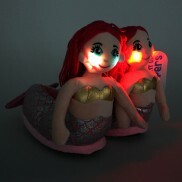 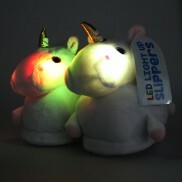 Keep kids toasty this winter with magical mermaid slippers with enchanting light up cheeks!